The West Wing will always be, in my mind, one of the best television shows of the modern era. Not just because it was essentially Schoolhouse Rock delivered via Sorkin-level wit, but because no matter how politically wonky or esoteric it got, it simultaneously found a way to be just as emotionally compelling – occasionally even crippling. Still, no gut punch to the heart that ever took place on that show – not Martin Sheen screaming at God # , not even Leo McGarry clutching his chest # – could equal the visceral pain Game of Thrones viewers went through tonight learning how Hodor became Hodor. After ~50 minutes centered almost exclusively around the bureaucratically Sorkian topics of female empowerment and the inner workings of various political machinery, the acutely piercing final scene of “The Door” pinned us down and mercilessly ripped us limb from limb right alongside the gentlest, most cosmically tragic giant in all of the Seven Kingdoms. To paraphrase a heartbroken President Bartlet, Hodor was our terra servus, our messenger fulfilled his duty. And in his final moments, Hodor’s entire life, cursed as it may have been, became a testament to those who have faith that everything happens for a reason. Death really doesn’t only come for the wicked and leave the decent behind. With primary season officially wrapping up and the party conventions right around the corner, the timing of this episode feels especially prescient. Between the candidate stumping and the PR spin, the ‘cable news’-esque political theater, and the White Walkers-as-a-result-of-a-xenophobic-arms-race reveal, “The Door” waded into some of the wonkiest waters this show has dared submerge itself in so far. On one of the end of the aisle (or in this case, isle), we’ve got Yara Greyjoy – the only daughter of Lord Balon and a fierce warrior whose ascendance to the throne would be the first time a woman has ever ruled over the Iron Islands. Boasting a long and fabled military record, she benefits from the endorsement of the current political elite and represents the progressive notion that “there are many things we’ve never done”…yet. 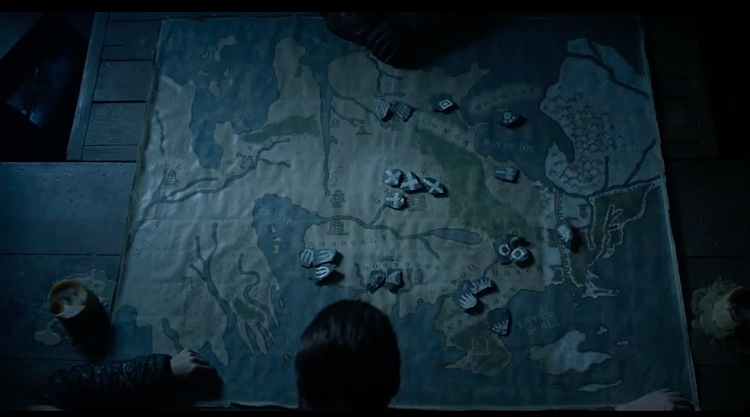 Euron Greyjoy’s “Make the Iron Islands Great Again” rhetoric is similar to the near-jingoistic, uber-masculine nationalism we’ve seen displayed throughout this story from various commoners and cultures – most of whom have seen their due comeuppance (see: the Dothraki Khals from last episode) – but there’s a unique populist bent to Euron’s stump speech that, especially when coming from a guy who probably lost some brain cells after nearly drowning, feels more threatening to our future “fragile peace” than even Jorah Mormont, the roaming biological weapon. We know Dany’s got to get her Dothraki army over the sea somehow, but it’ll be interesting to see if she’s sincerely willing to split the ticket with a homicidal mad man to make it happen. What’s that saying about politics and strange bedfellows? The fourth-wall-breaking play intercutting “The Door” was an interesting move for the typically less-referential Game of Thrones, but there are actually some strong historical and literary precedents that, given the overarching political nature of this episode, make sense to pay homage to – specifically as it relates to Arya’s hesitancy to forsake her original mission of revenge. 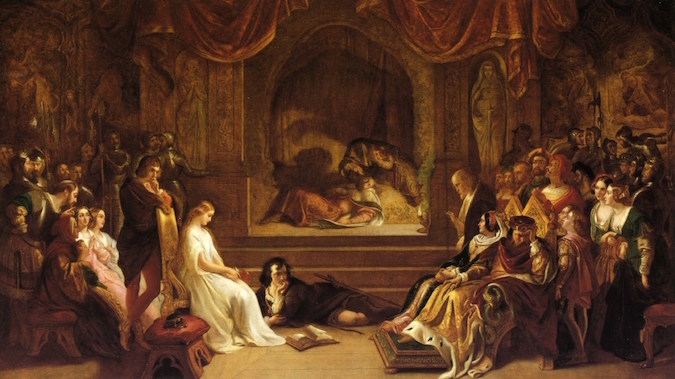 In it, our protagonist stages a performance of a play called The Murder of Gonzago in order to (yada, yada) be sure if he should proceed with his long-waited plans for revenge. A few weeks ago, the website Just Not Sports asked a group of men to read to female sportswriters Julie DiCaro and Sarah Spain some of the awful, hate-filled tweets those women are sent on a daily basis. In the video, the men – who didn’t write these vitriolic tweets themselves – have a hard time even making eye contact with the women, let alone getting the words out. Sansa: “Did you know about Ramsay? If you didn’t know you’re an idiot; if you did know, you’re my enemy. Would you like to hear about our wedding night? He never hurt my face. He needed my face, the face of Ned Stark’s daughter. But the rest of me… He did what he liked with the rest of me, as long as I could still give him an heir. The Jon Snow parental lineage connection (R+L=J) enables both the Starks and Dorne to fall in line behind her; Tyrion (a Lannister and possible Targaryen) and Varys (a possible Targaryen himself) give her the political/diplomatic edge she needs to be more than just an invading liberator; and she’s more than halfway through her Quaithe prophecy.